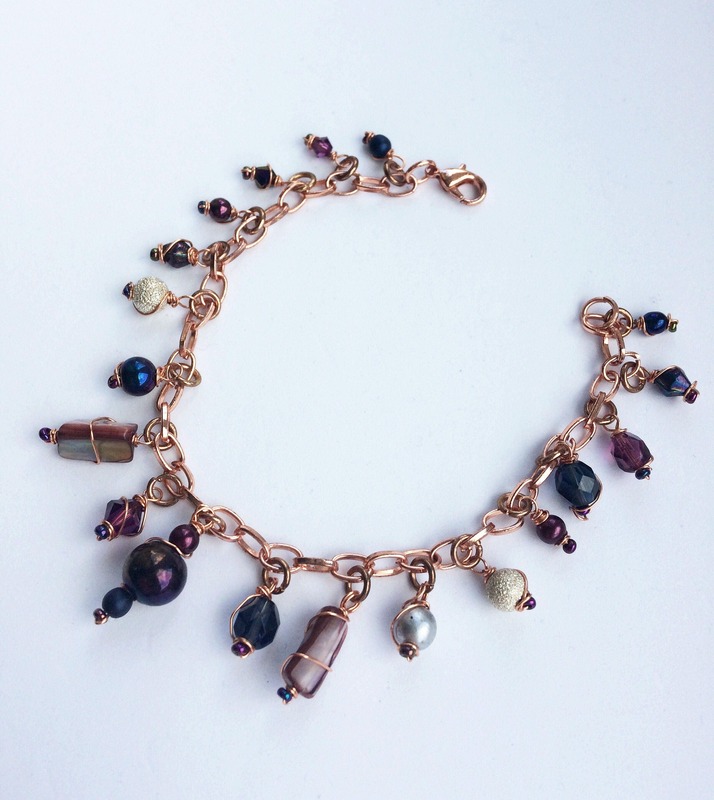 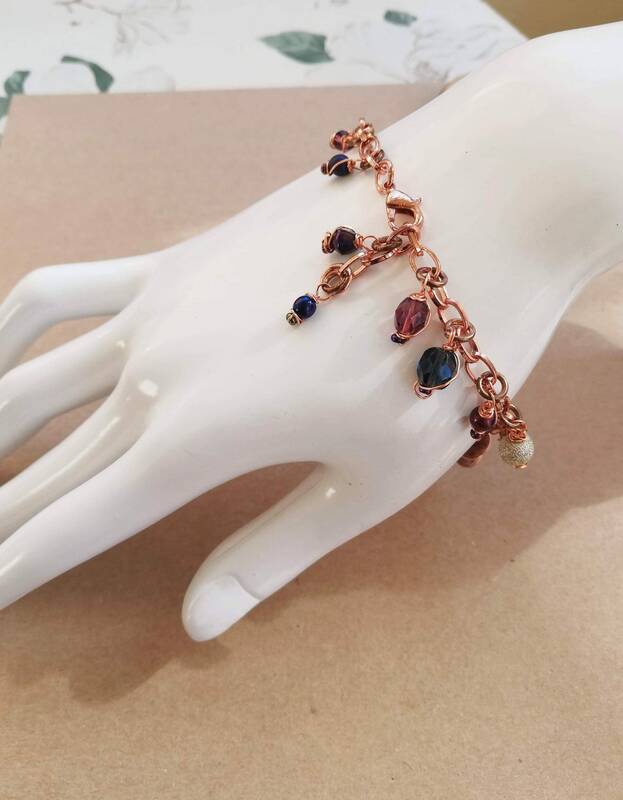 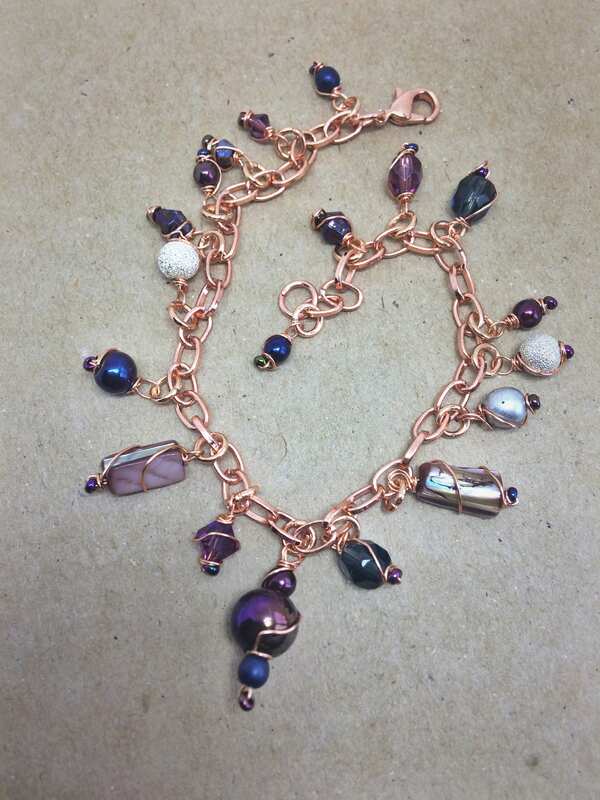 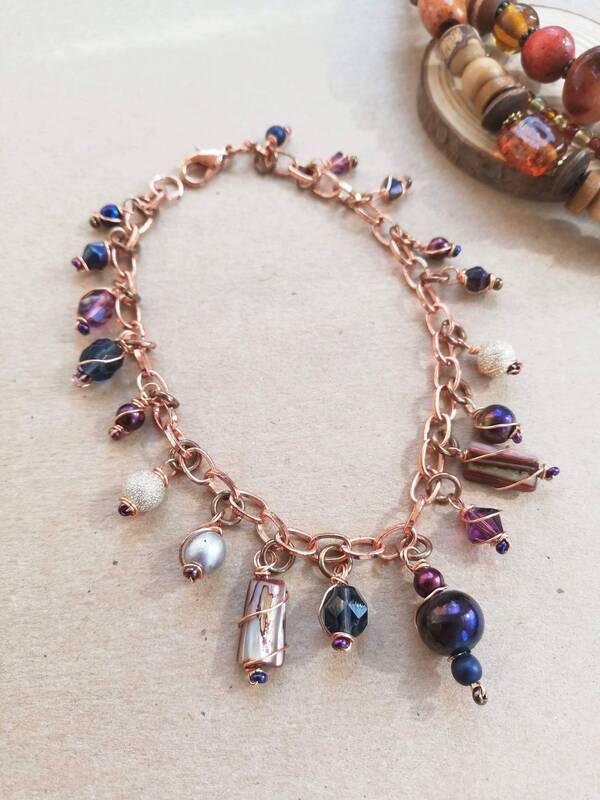 Rose gold charm bracelet with charms in a mix of purple, silver and midnight blue colours. 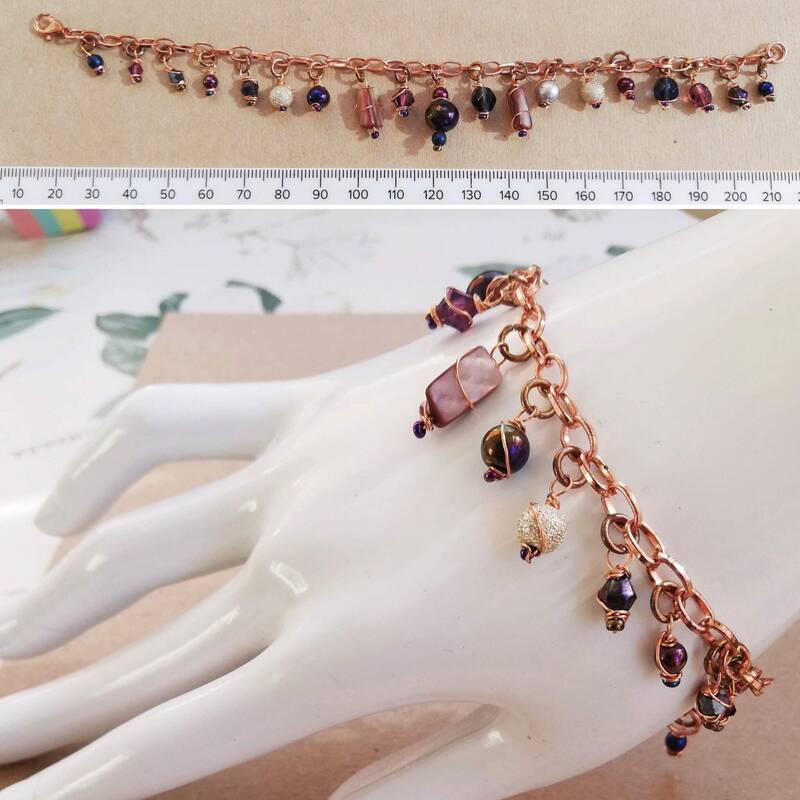 The length is 21cm/8" although it is possible to fasten it at any point due to the lobster clasp and 6mm curb chain links. 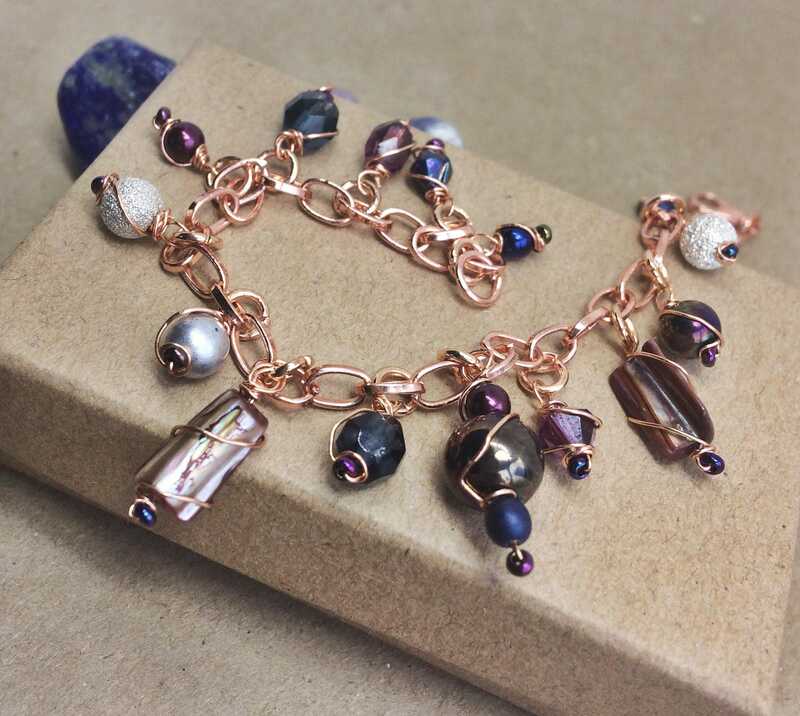 The charms include iridescent mother of pearl nuggets which have a gorgeous lustre of cream, bronze, gold, yellow, pink and mauve. 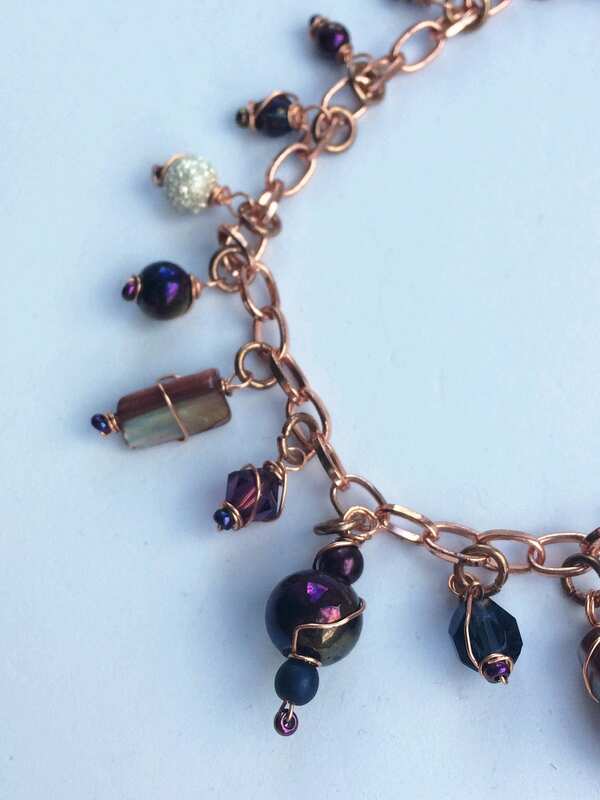 The other charms include matte and silver sparkling beads, iridescent glass beads in metallic oil-slick colours, Swarovski crystals and Czech pressed glass faceted beads. 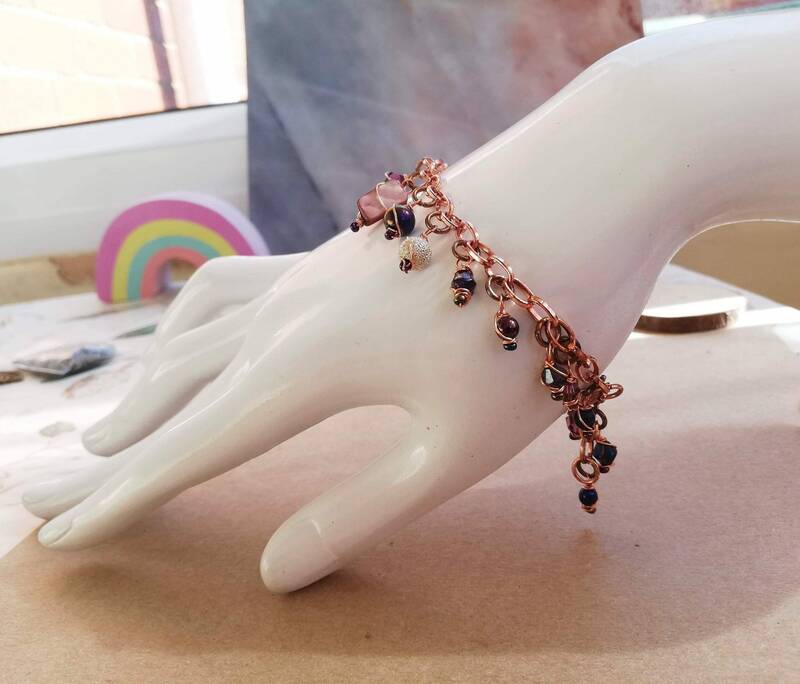 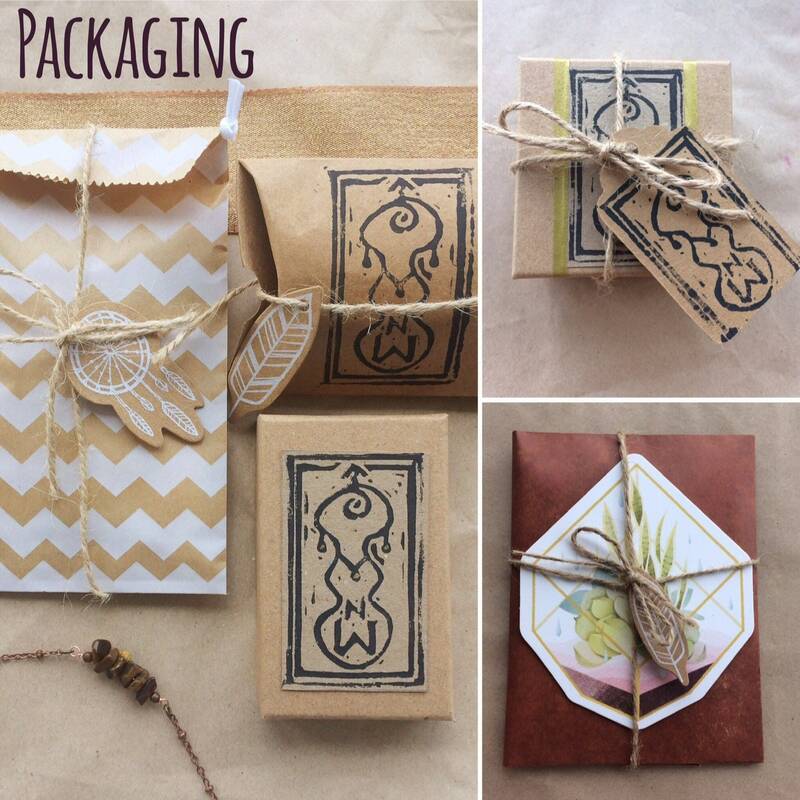 They are individually wire wrapped with rose gold wire and metallic seed beads to finish.